Among people who are actively involved in business, Delaware is known as the state that is perhaps the most corporation-friendly in the United States. According to the state of Delaware, it has been “preeminent” as a place for businesses to incorporate since the early part of the 20th century, and more than half of all Fortune 500 companies are incorporated in Delaware. Clearly, there must be certain benefits of incorporating in Delaware that have been attracting businesses for more than one hundred years. Some of the most commonly cited benefits of incorporating your business in Delaware are detailed below. Tax benefits – For corporations that incorporate in Delaware but do not conduct business within the state, there is no state corporate income tax. 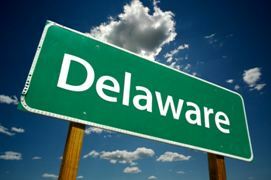 In addition, shares of shareholders who are not residents of Delaware are not subject to either a state inheritance tax or any personal income tax. Well-developed case law – Because Delaware has been such a popular place for businesses to incorporate for a significant period of time, the case law regarding corporations is more well-developed than it is in other states. As a result, companies that choose to incorporate in Delaware have more guidance as to the way the relevant law will be applied, resulting in less uncertainty. The use of judges rather than juries – When corporate litigation does occur in Delaware, it does so in a specialized court known as the Delaware Court of Chancery in which there are no juries. Judges who are trained in the law generally make more predictable decisions than juries, who can often be swayed by emotional arguments and whose members may have anti-corporate bias. Privacy – Delaware does not require that directors and officer be listed in the Articles of Incorporation filed with the state. As a result, incorporating in Delaware can provide people who are involved in the venture a level of privacy not available in other states. While these are many benefits associated with incorporating in Delaware, the best place for you incorporate your business is dependent on a variety of factors. Consequently, anyone considering incorporation should be certain to discuss their options with an experienced business law attorney prior to filing any paperwork.